Mickie has been babysitting since the age of 14 and has her own children now. For a while, she had opened her own childcare at home and worked for six years at Pre-School Enrichment in Southlake. 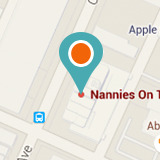 Her great work ethic, reliability, and trustworthiness make her an excellent choice for a nanny. She loves working with children and even has a major and certificate in Child Development. She’s been a nanny, kindergarten teacher, assistant teacher, childcare provider, and much more. Mickie has experiences with all ages of children and is looking forward to getting to know many more in her future!